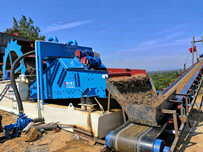 Sand washing machine is artificial sand (including natural sand) washing equipment. 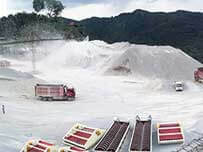 Sand washing machine is widely used in the washing of the material gravel pits, mining, building materials, transportation, chemical industry, water conservancy and hydropower, concrete mixing stations and other industries. When working through the belt motor, speed reducer, gear reducer drives the impeller to rotate slowly, the sand feed chute into the washing tank, roll driven impeller and grinding each other, remove the gravel covered surface impurities, while destruction of water vapor – coated sand layer, in order to facilitate dewatering; while adding water, the formation of a strong flow, timely small proportion of impurities and foreign objects away and discharged from the wash tank overflow outlet, complete the cleaning effect. 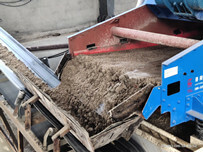 Clean sand and gravel taken away by the blade, the last gravel from the rotating impeller into the trough, the completion of the sand cleaning. The sand washing machine with advanced technology, combined with the actual situation of domestic sand industry developed efficient sand washing equipment, the sand washing machine with clean height, reasonable structure, high yield, less loss of sand sand washing process, especially the transmission parts are separated from water and sand, the sand washing machine failure rate is much lower than the currently used sand washing machine, is the best choice for domestic washing sand industry upgrading. 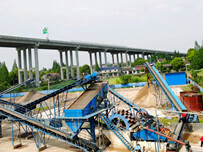 For sand production line, sand making machine, sand washing machine, vibrating feeder, crusher, sand making products is essential.